The WP Weekly Photo Challenge wants to see eerie in black and white. An unusually low tide exposed this heavily eroded metal sea wall at East Beach in Santa Barbara, CA. I wondered if it was possible to strip the beauty from an ocean photo. To convert beauty to eerie, I changed the image to black and white and then tinted using Photoshop. This was as eerie as I could get. I believe the answer is no. 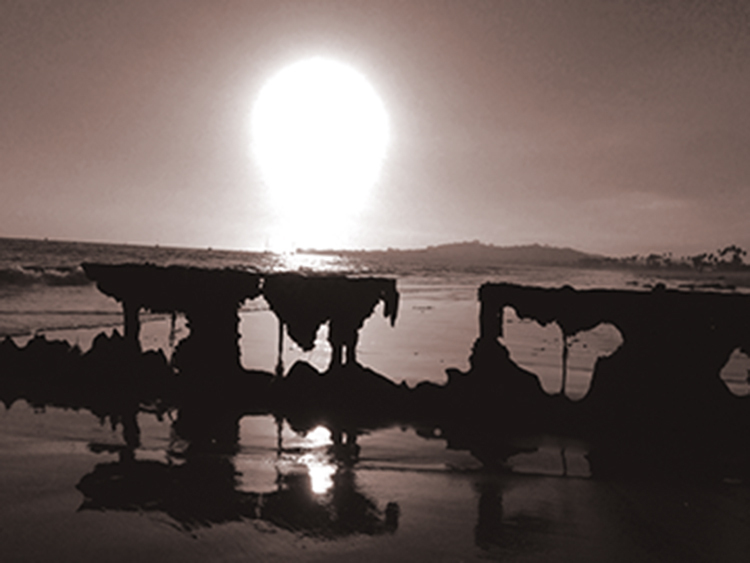 Even post-apocalypse, sun on ocean remains beautiful. Photoshopped. I like the way the sun bleeds into the water.